For the first time ever, YouTube has changed its logo and done away with its “Tube-in-a-tube” design. Both the YouTube website and the app have adopted a new material design and added some new features. 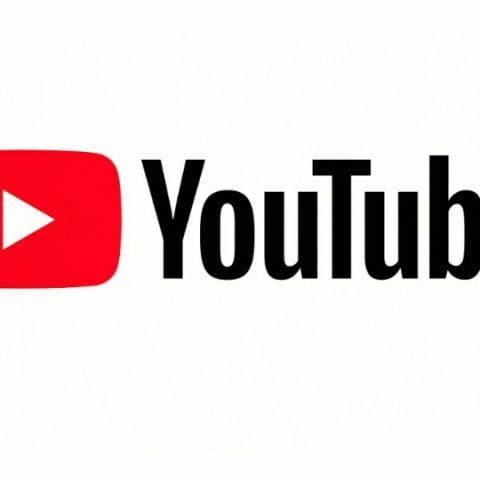 After almost 12 years and for the first time ever, YouTube has a new identity in the form of an updated logo. The new logo also serves as YouTube’s app icon and can be seen in on the website as well. The previous YouTube logo displayed a “tube-in-a-tube” design in which the red patch covered the second half of the logo. The new design sports a much brighter red color and the play button sits on the left of the brand name. The video streaming service itself has undergone a design overhaul with new color schemes, typeface, and a bunch of major changes to the look, feel, and functionality of its desktop and mobile app. The mobile app now sports a much cleaner design with gestures such as double tapping on the left or right side of a video in order to forward or rewind it by ten seconds. YouTube is soon bringing a new feature that will allow users to directly “jump” from an ongoing video to another with a swipe. The app also received the much-awaited speed up and slow down feature similar to the website. An interesting new feature adapts the YouTube player as per how you view your video. The YouTube player will now seamlessly change shape to match the video format the user is watching, such as vertical, square or horizontal. YouTube claims that users will always get the best viewing experience automatically including vertical videos with no black bars on the sides. The first difference that can be noticed on the website aside from the new logo, is the material design that YouTube says delivers a fresh, simple and intuitive user experience. According to YouTube the changes incurring are necessary as they intend to bring a new level of functionality and a more consistent look across their desktop and mobile experiences. The new desktop design also features a Dark Theme, which turns the background dark, while you watch videos or movies on YouTube. Changing and updating interfaces of YouTube or any mainstream website is nothing new, however, with this new look, YouTube says it's trying to represent and highlight the fact that it now encompasses, and ranges a broader set of services rather than a singular website. I need freelacing service for Logo, website design. Which site will be good?